Try "Gran Vía, Madrid" or "28013"
Send flowers to Gavá, Barcelona. LolaFlora will cheer your days and the days of your loved ones, delivering flowers on time to every corner of Gavá, Barcelona. Delivering the arrangement that you choose in the interval of time of your preference, with an atacched card with the message you compose, at the address you provide us. If you want to send flowers to Gavá, Barcelona, you are in the right place! Wherever your loved ones are in the world, Lolaflora have got you covered with floral gifts! Take advantage of our professional and friendly international flower delivery service to send beautiful blooms to your dear friends and relations in Spain, whether it's for a special occasion or just because. Send flowers to Spain for any milestone; our vast range of bouquets includes celebratory and congratulatory floral arrangements plus tasteful funeral wreaths and sympathy flowers. 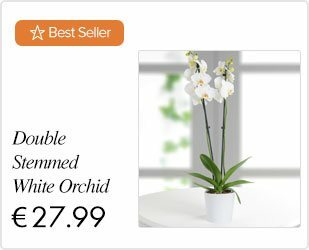 Simply order online flowers from LolaFlora and we will ensure your blooms arrive in perfect condition and a timely manner. When searching for florists in Spain, be sure to choose the very best - LolaFlora are experts in all things floral! Do you have a friend living in Spain who has just started a new job? Is a close relative moving to Spain to begin a fresh chapter in their life? Why not send congratulations flowers when you hear of their good news! 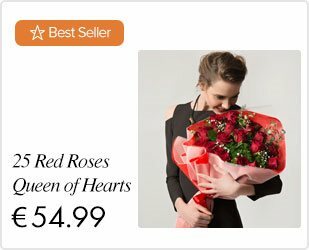 If your sweetheart lives overseas, let her know she is constantly in your heart and thoughts by sending romantic flowers to her. LolaFlora's flower delivery Spain service will also handle your condolence flowers or funeral flower arrangement orders sensitively and discreetly. Stay in touch with your Spanish friends by sending thinking of you flowers to keep your friendship alive! Flowers are a universal gesture understood in any language. Let LolaFlora's online florist deliver your love and best wishes through the beauty, color, and fragrance of flowers. Distance shouldn't keep you from sending happy vibes to your loved ones - choose your perfect bouquet from LolaFlora today.